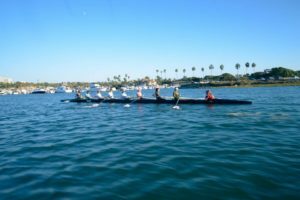 Want To Learn To Row? This Is The Place. It’s never too late to start – even incoming seniors have found their college sport! 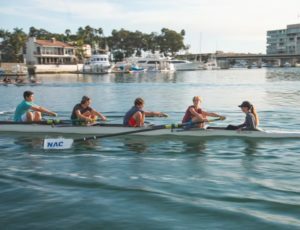 This two-week camp for High School students is a great introduction to the sport for those interested in joining NAC’s rowing team and those that want to try a fun summer sport. Participants will be taught boat safety and handling, introductory stroke technique, and the importance of rowing as a team. Each camp runs two weeks. After finishing this Learn to Row camp and with the recommendation of their coach students can join the NAC Intro to Competitive Rowing Camp. It is extremely beneficial and necessary that the two weeks are completed together. Age: Incoming 9th grade to 12th grade.